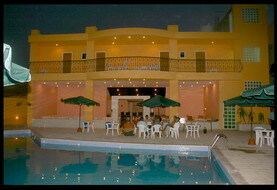 Mariam hotel - a 2 star hotel in Madaba and within 25 min driving from Queen Alia International Airport. It is tourist, friendly, family-run hotel. When it's time to relax, you can enjoy a swim in the wonderful large out door swimming pool, or soak up the sun on the pool deck. Make a fresh start to a new day having open buffet breakfast at The Roof Restaurant. The "Hasuneh" bar serves beer and local Mount Nebo wine throughout the day up to midnight. 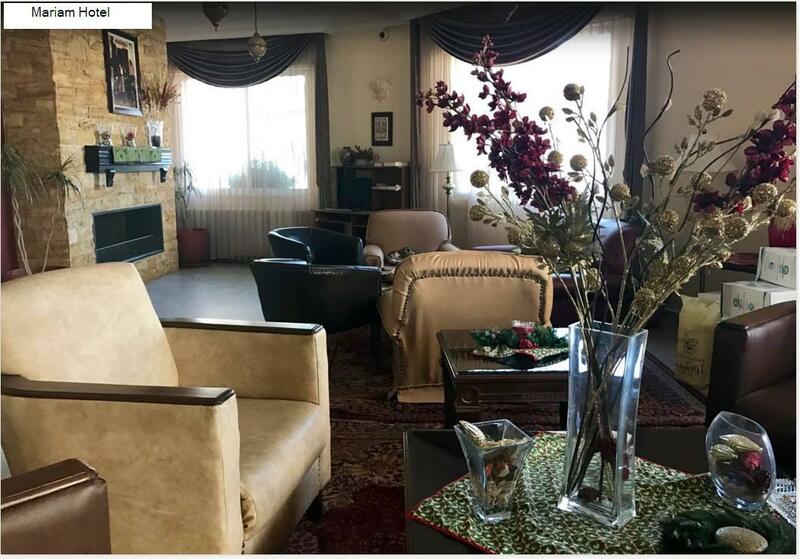 The courteous friendly staff had been carefully trained to pamper guests with the warmth and attentiveness of Jordanian's traditional and unique hospitality. Located in a quiet residential district, two blocks northeast of the Al-Mouhafada Circle, an easy five-minute walk from the town centre, St George's Church (“the Church of the Map”). (see location map). At your request the hotel can arrange a taxi or a minibus to pick you up from the airport, please check out our Organized Trips section. Room facilities: the 57 comfortable rooms are all equipped with private bathroom, hot water and central heating. All rooms have safety deposit box, TV + Satellite AC, hair driers, direct dialing phone and FREE Wi-Fi. 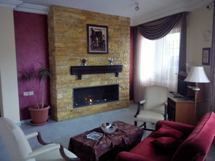 Single, twin, double, triple and family rooms "with 4 beds" are available. Some of the rooms have balconies overlooking the swimming pool at the back. Meeting room facilities : Our "Ameer" meeting room can accommodate functions of up to 80 persons. It is equipped with sound system, screen, data show,white board, free WiFi and AC. Also the meeting room benefit from natural sunlight with a view of the city and in the same time it is equipped with blackout curtains. The official Check in time is 2 pm and the check out time is 12 noon, for those who wants to check in early in the morning they need to book and pay for the night before. We are open 24 hours.